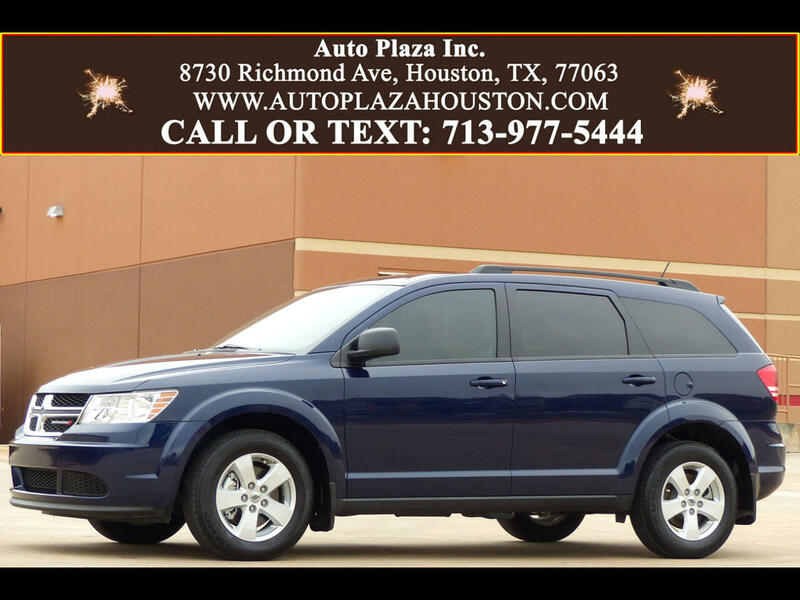 Used 2018 Dodge Journey SE for Sale in HOUSTON TX 77063 Auto Plaza, Inc.
*/- Only 4K Miles!! -*/-* With Remaining Factory Bumper to Bumper Warranty Good Thru 04.19.21 or 36K Miles!! Auto Plaza Presents To You This Low Mileage One Owner Dodge Journey With The Popular Equipment and Uconnect Packages Mated to a Slick Automatic Transmission. Options include, Bluetooth Handsfree, CD/ MP3 Player, Aux Audio Connection, Second Row Folding Seats, Third Row Seating, 3 Zone Climate Control, Traction Control, Tilt/ Telescoping Steering Wheel, 17' Alloy Wheels, Power Mirrors, Power Locks, Power Windows, Rear Defroster,Dual Front Air Bags, Cruise Control, and More! This Dodge Journey is Great if your a FAMILY person concerned with adequate space and comfort for the children this Van is Evidently Perfect for YOU!! Financing Available, Call Now!! !